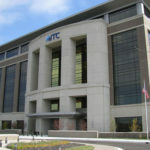 Headquartered in Novi, Michigan, ITC Holdings, Inc. is the nation’s largest independent electric transmission company serving an area of nearly 80,000 square miles in five states. ITC operates overhead and underground transmission lines that carry electric power to more than 13 million people. Concerned about vandalism, theft, and the potential for domestic or international acts of terrorism, ITC has taken extraordinary steps to secure their physical assets in order to maintain the reliability of their bulk electric system. Robert Blickensdorf, ITC Security Manager, says, “We needed a system that would eliminate the risks associated with the duplication of keys and assist us with Critical Infrastructure Protection (CIP) compliance by tracking contractors and employees that go into locations that contain critical cyber assets.” ITC wanted to know where each key had been used, how it had been used, and by whom. They were looking for a product that could be integrated with the sophisticated security equipment and systems they already had in place. After thorough research, ITC chose to implement the CyberLock system. They proceeded to install CyberLocks on their TMedic boxes, RTU cabinets, control-house doors, gates, and on other facilities. “The physical cyber assets we are protecting with CyberLock are critical under CIP standards,” says Blickensdorf. CyberLock allows ITC to restrict and audit access to their cyber asset locations. ITC has issued electronic keys to their contractors and employees in the field that need access to substations and other sensitive areas. ITC programs each person’s key with the access privileges they need to do their job. The locks and keys record events so they can track people that come and go at the different sites. “CyberLock has eliminated issues we experienced in the past with key duplication,” says Blickensdorf. Each key is set with an automatic expiration to reduce the risk from lost keys. If a key is missing, ITC can quickly deactivate the key or let the key automatically expire. “Overall, I could not be more satisfied with the CyberLock system,” adds Blickensdorf. "The physical cyber assets we are protecting with CyberLock are critical under CIP standards."